M Diego Gradis you are one of members of the Henokiens Association. Could you please introduce yourself to our readers?  > Diego Gradis : 13th Head of the Maison Gradis since Diego Gradis (yes, Diego! ), business founder in 1685, I was handed the company's reins in 2014 and I hope this number "13" will bring us luck. Law studies in Paris (Paris II) then in New York (NYU), Institut d’études politiques (Sciences-Po); following a first legal career as an international lawyer in New York then in Paris, my second career is dedicated to international solidarity by founding with my wife, Christiane, the international NGO "Traditions for Tomorrow" in 1986 (www.tradi.info) which we still run. With Cyril, our son, Vice-President of our Maison Gradis, I am thus beginning a third career at an age when many are rather looking toward the exit, and I am delighted about it. > D.G. : The Maison David Gradis et Fils had its headquarters in Bordeaux until the early 20th century, then became the Société Française pour le Commerce avec l'Outre-mer (SFCO) in the form of a public company, with its head office in Paris. During centuries the Maison Gradis dedicated itself, in its capacity as a ship-owner, to the trade of land products - particularly sugar - with the Antilles and at some stage Quebec. In the last quarter of the 20th century, the SFCO revives part of its past: the trade of Bordeaux Grand Cru wines. With the closing of this chapter in its history, it dedicates itself to financial investment management, and more recently to direct investment in medium-sized business with a strong social and environmental impact, particularly in Latin America. Although it is among the oldest Henokiens, the SFCO is nonetheless probably one of the smallest! > D.G. : Nothing too significant in recent years, other than the passing on of the company and its management to the new generations in 2014. > D.G. : Following the handover of power it is yet too soon to define clear directions for the company's future activities in the more or less long term. However, its commitment to investments or activities with a social and responsible impact seems clear. As the company purpose is very broad, all types of activities can be considered. > D.G. : The company being in good health financially, despite of course temporary vicissitudes at certain periods, has certainly contributed to its longevity. What has underlined this good health has also been the attachment to values passed on from generation to generation. These were somewhat a governing principle in the company's activities as in its management: search for an intergenerational consensus as well as among parts of the family not directly associated with daily decision-making, opening to overseas, respect and gratitude toward personnel, collaboration with different sectors of society, the business and political world with no prejudice or fixed ideas, participation in the life of society and philanthropic and intellectual contribution to its activities. It seems that personal contacts of the Maison Gradis managers in diverse sectors and at various levels have also contributed to strengthening it in relation to the outside world, as well as internally. > D.G. : With no doubt. The warm welcome we received from our partners in business generated by the SFCO in the not-too-recent past albeit still not-too-distant, reflects the interest in the values we are attached to. They are intrinsically tied to the company's longevity. When our wine trade thus "resumed" in 1975, it was partly thanks to one of the company's contacts in Bordeaux. This person was determined, in offering to act as a mediator with one of their English clients, to present a buyer who would represent such values. The SFCO was chosen. > D.G. : Avoiding too great a dilution of decision-making power within the company, yet associating a representative family circle with decisions and keeping it regularly informed. This strengthens family cohesion, which however should not only rest upon the company. 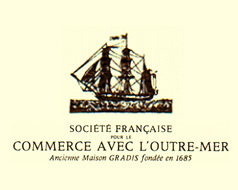 Buyback by the family of all its shares, some 40 years after it acquired a stake in the SFCO, from a financial establishment that had widely contributed to a capital increase at the time the Maison Gradis became a public company in 1921. Its shares were then traded on the Paris stock exchange. In the 60's, contributing to replenishing the company's treasury by its family managers to observe, with regard to its clients, commercial commitments which without that could not have been kept due to a serious swindle that affected the company. Otherwise, the buy-out by a third party could have been a way out of this crisis. > D.G. : Yes, Cyril Gradis (on the picture), born in 1989, the only holder of the Gradis name in his generation, sits on the company's Board of Directors. He holds the position of Vice-President and is much committed to the life of the company. > D.G. : Do it, but take all possible precautions. It is a beautiful project but you play with fire. Collateral damage may equal the very great joys a family business experience can bring. It requires a lot of patience, flexibility, transparency and modesty.